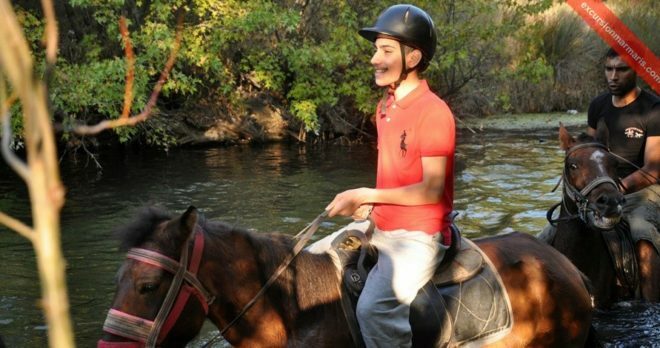 If you are avid traveler looking for more in Marmaris, horse riding could give you that thrilling experience. At just 20 minutes drive from the resort town of Marmaris, you get an opportunity to ride horses and just spend some time in their company. You can enjoy an authentic village life while you ride through the pine forests, the wild rivers and the orange groves nearby. Marmaris Horse Safari Tour is usually available everyday from April to November. Prices include pick-up and return transportation, insurance and instructions as well. The trip is available in two sessions each day, the first one is at 10:00 am and the second one at 16:00 pm. each session last for about 3 hours and you can ride your horse through the countryside of Marmaris. 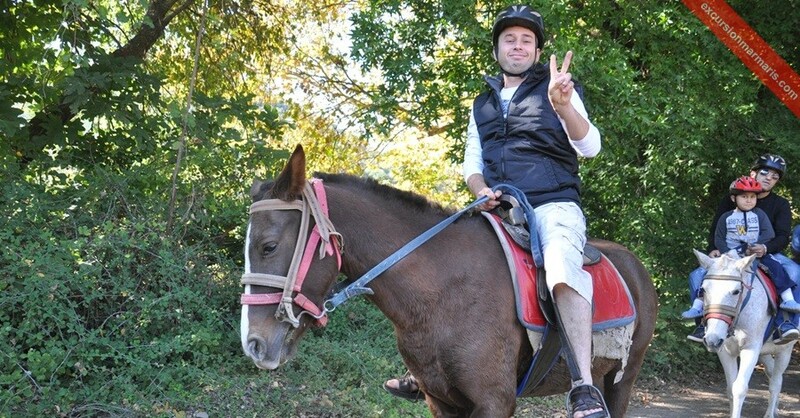 No experience in horse riding is required to enjoy this wonderful time. 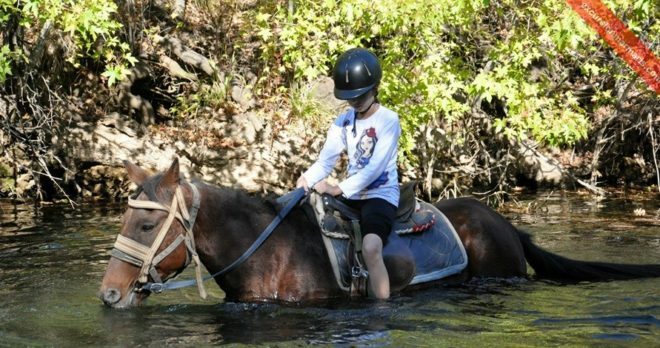 All you need to do is simply stay on the saddle and let your horse do the rest! The horses here are amazingly easy-goers and they give their best ride even for someone who is doing a horse riding for the first time in their life! 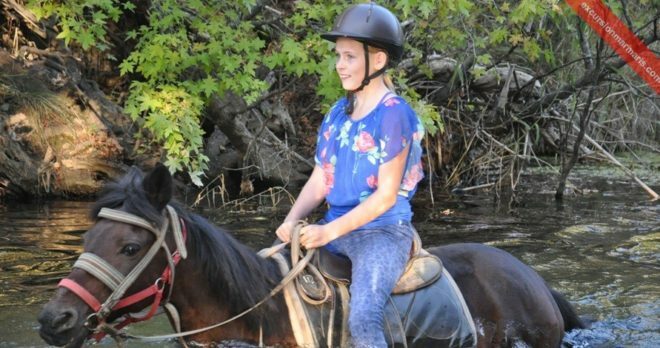 Your kids can also ride on their own horses and join you in the tour. Children younger than 8 years are not charged any fee. If anyone of your friends or family wishes not to take part in the horse safari, they can stay back at the ranch and enjoy the nature until you join them back. You can enjoy a thrilling half day amidst nature’s beautiful surroundings riding on a horse back. These trips are generally unsuitable for guests with physical difficulties. And, for those participating in these trips are advised to bring their trousers or Capri shorts and sun creams as well. Other facilities like cold drinks and DVDs are also offered at the safari, but they are not included in the listed price for this tour. You can move through fruit orchards, vineyards, lush valleys and splash through the wild waters in the region. The narrow village roads offer you an incredible experience; you can talk to the villagers and take photos as souvenirs of your trip to Marmaris. Marmaris Horse Safari Trip is available from Marmaris, Armutalan and icmeler. 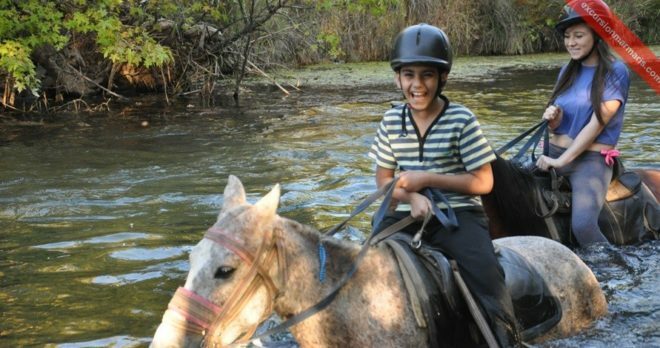 Horse safari around the country side in Marmaris offers a great opportunity to explore the surroundings and enjoy nature from a close quarter. Handicap-Accessible: No, Not suitable for guests with physical difficulties . Extremely friendly horses , they are well tamed and always well behaved, you can bring your children without any worries. All you need is just sit back any enjoy your ride in the great country side of Marmaris. Marmaris is beacuse of being a national park in Turkey, this is the reason the countryside around Marmaris is so green and untouched, during the Marmaris Horse Safari Tour, you will explore the countryside and understand how green Turkey is. 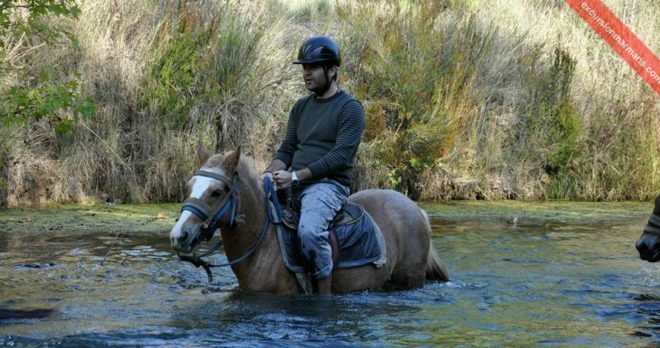 In Marmaris Horse Safari your safety is out priority, with all the new equiments and experienced instructors you are going to have a safe trip with your family. 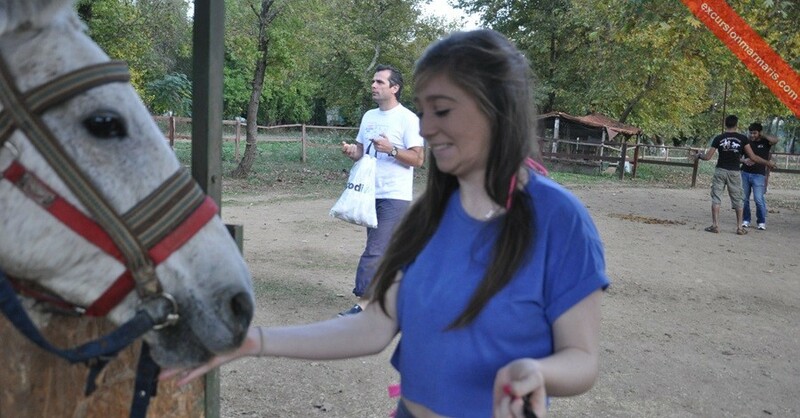 I booked Marmaris horse safari tour with two other friends. We were all beginners for horse riding but the ride was very peaceful. Our horses were very friendly and well taken care. Definitely will come back. Most enjoyable day of my holiday, I have never been on a horse safari but staff guided me all day. Best to wear is long trousers if you are going to do this tour. Absolutely fine for beginners and a nice 1 hour spent riding though the whole trip took just over 3 hours. 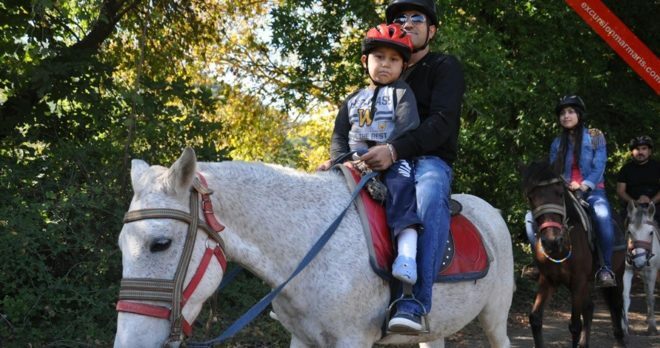 I went on the horse safari with my son and we absolutely loved it. 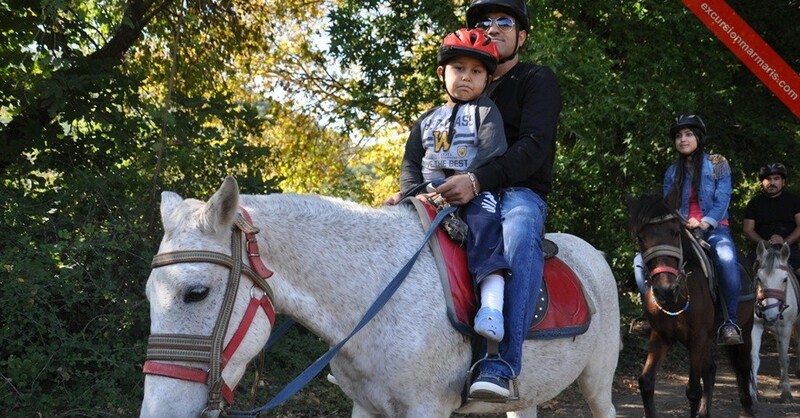 It was the first horse riding experience for my son. Cuma the trainer took a calmer horse for us as it was our first time. We were riding our horses through the forests and river beds, it was really good fun. Our horses groomed and well cared. I highly recommend to anyone who fancy doing something different in Marmaris. 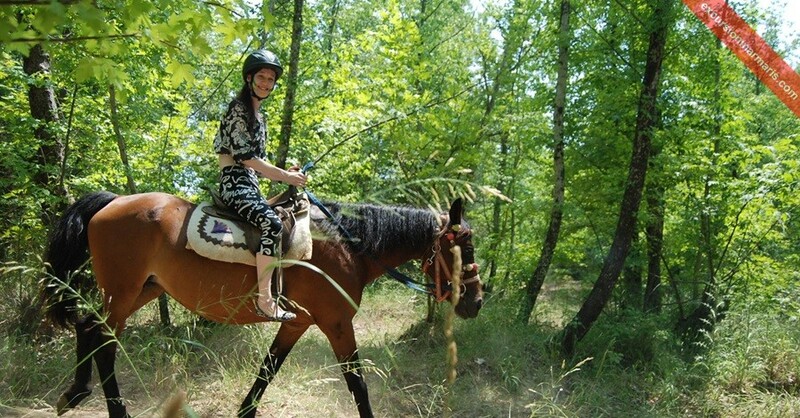 I enjoyed Marmaris horseriding tour very much, and i can easily recommend this tour to anyone. It was such a beautiful way to experince the nature of Marmaris. The staff was very sympathic and friendly. Having not been on a horse over 20 years and to be honest it was a little scary, but no need to be. 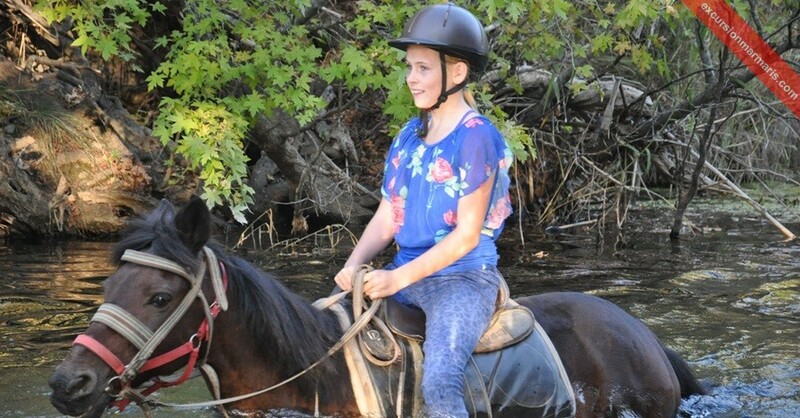 The horses on the ranch are well trained and each guest will pick up horse depending on size and ability to ride. There were always instructors around us and they kept a very close eye on each and every rider. I thoroughly enjoyed this tour after 20 years and will definitely do it again. Me and my family decided to go for Horse Safari in Marmaris, just being honest i was abit scared . 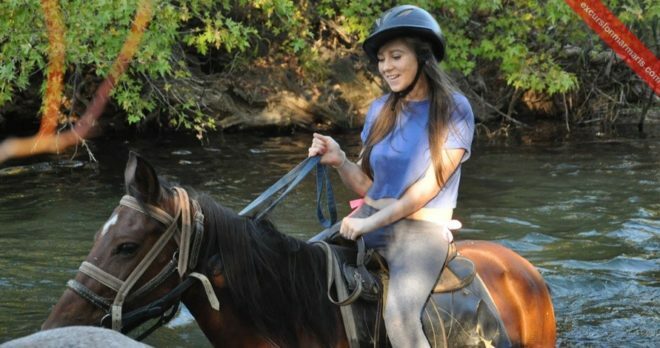 Even though i am not actually experienced in horse riding, our guide was very friendly and gave us detailed instructions and made all group very comfortable. 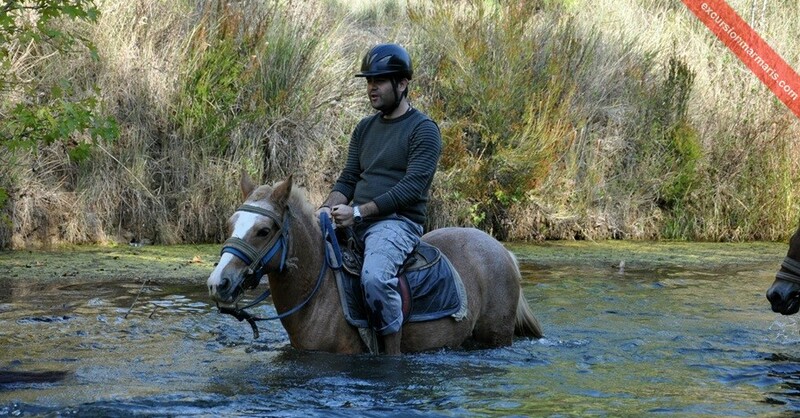 Riding my horse through the pine trees and river beds was an exciting experience and we had some great time. One must not miss this amazing adventure. Me and my girlfriend had the most amazing time riding through the forests and river beds in Marmaris. Our guide and the team was very friendly and helpful. We were both experienced and very happy with our horses. They are exceptionally well cared for and were gleaming with health. Thank you for a nice day out. This was the first time for me and my family to on the horse safari. It was really great, we were picked up from the hotel and 20 mins we were at the stables. The track was nice and very green, the instructors were always with us and it was really safe. Great and highly recommended. 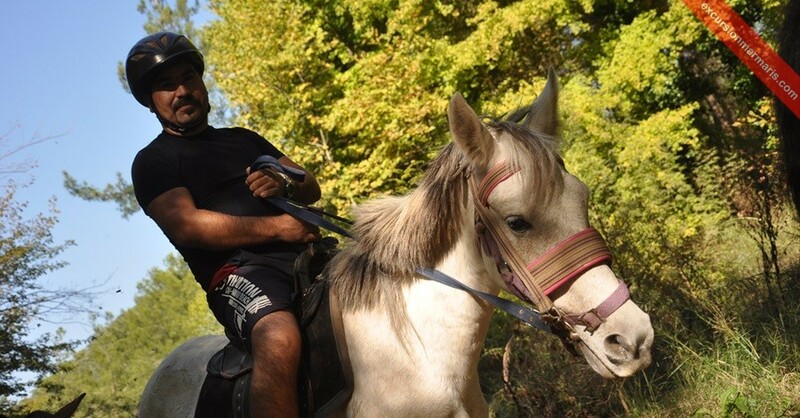 After being most of all of the excursions in Marmaris like (jeep safari,quad bike ,boat trips ) we decided to try something that we had never done before, so me and my wife and our friends wanted to try this horse riding in marmaris, thanks to excursionmarmaris.com everything went really good . The staff was very friendly and know what they are doing and there is a horse for everybody so each rider will find a match to a suitable horse. There were 7 of us , we all had a coaching lesson before setting off . Be sure it worth to try and if we ever have a chance in Turkey or nearby we would definitely do it again. We had a great time at Marmaris Horse Safari, the staff made it very good fun , me and my daughter done this trip and will definitely be going again. You ride the horses through the river. it was so good and so enjoyable, and so much fun.